Info: Audio visualization made with Maya & MEL Scripting. Each cylinder represents an instant in time. 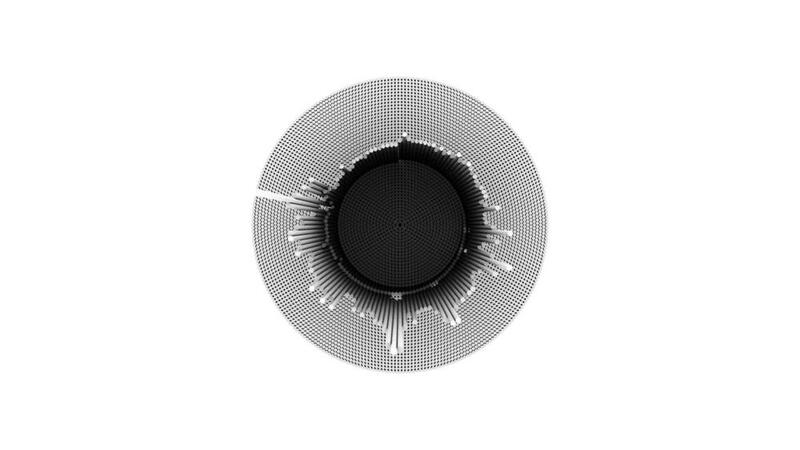 The visual form is something like a circular histogram of the song.